Jim Rutledge is considered a contemporary bourbon legend by many. 2016 marked his 50th year in the business. 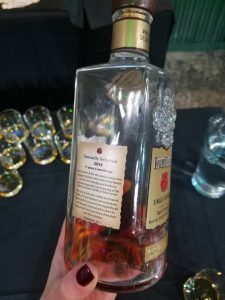 Most of those years were spent at Four Roses, where he played an integral role in bringing the brand back to U.S. shelves in 2004 after spending decades as export only. 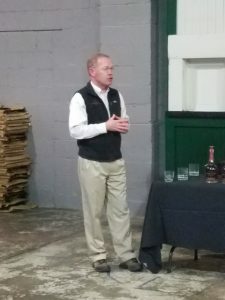 He retired from Four Roses in 2015 from his position of Master Distiller and is currently working on starting up his own venture, J. W. Rutledge Distillery. 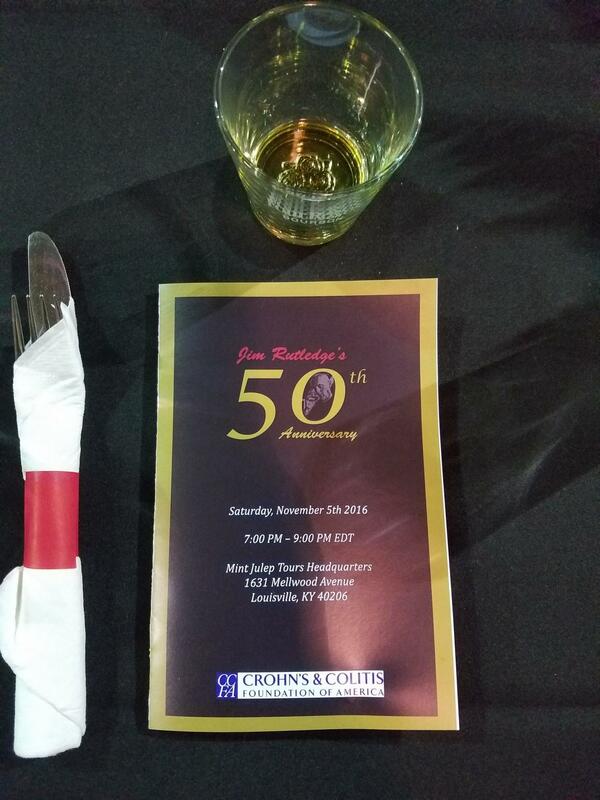 To honor his many accomplishments, the Bourbon Crusaders organized a 50th Anniversary celebration for him on November 5, 2016. The Crusaders are a group composed of whiskey tasters, writers, and enthusiasts from all over the country and this was their first public event. 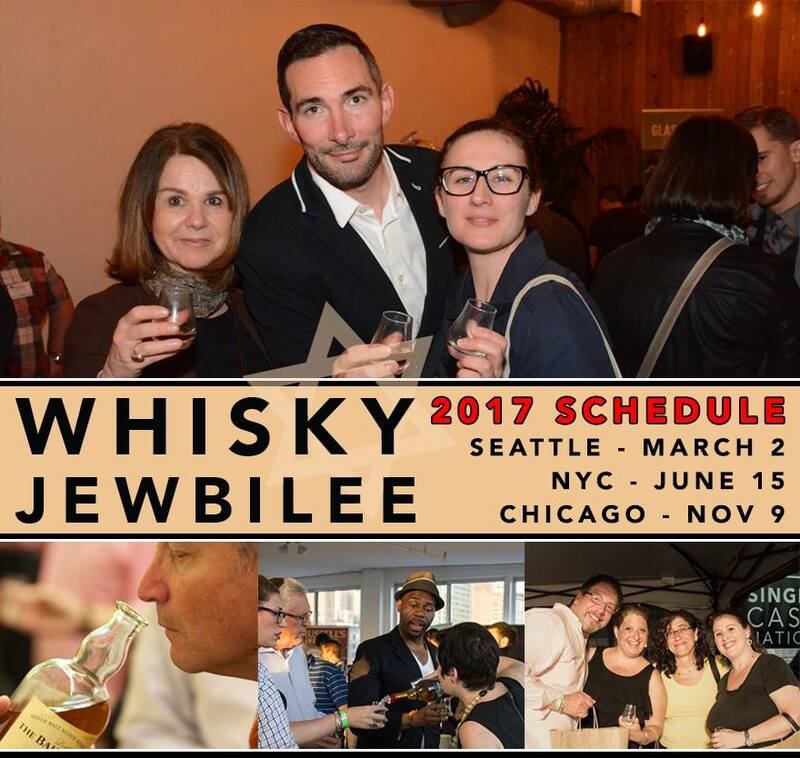 The program included many limited edition pours, dinner, a silent auction, door prizes, and of course hob-nobbing with bourbon royalty. Proceeds of ticket sales and silent auction purchases went toward the Crohns and Colitis Foundation of America, a cause near to Jim’s heart. The only bad thing about this bar selection was having to choose. 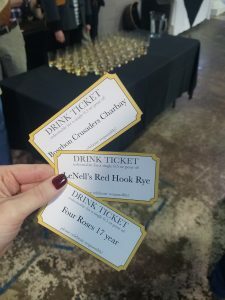 Gold tickets to the event included three extra-limited edition pours to kick off the evening: a Four Roses OBSV 17 year, a Charbay Hop Flavored Whiskey Bourbon Crusader’s single barrel pick, and a LeNell’s Red Hook Rye. 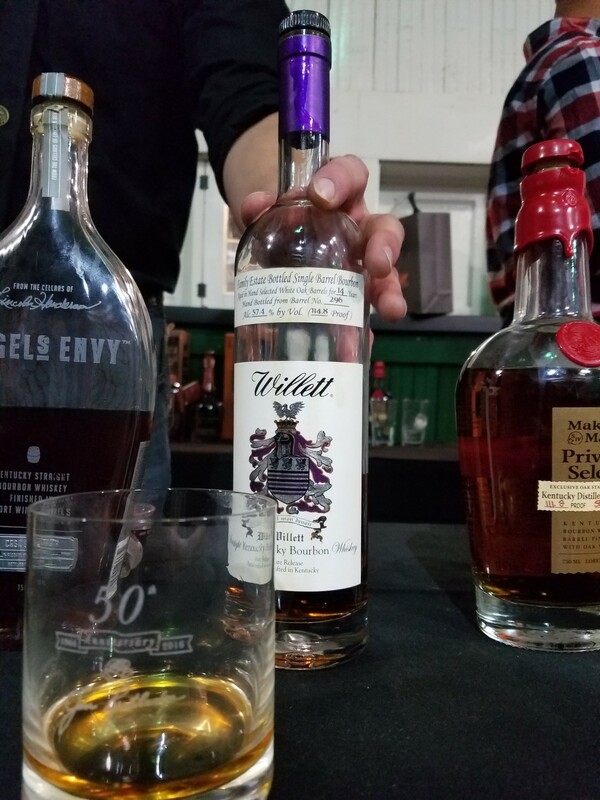 Let’s be honest folks, pours of these whiskeys alone were arguably worth the price of admission. 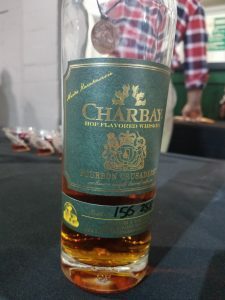 The Charbay clocked in at a whopping 147 proof, but certainly drank much smoother than one might expect. The hops were apparent and not to my personal non-beer-drinking taste, but it was by far the richest beer-based whiskey I’ve ever tried. 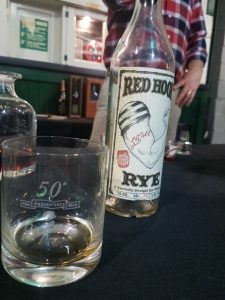 When it came time to try the Red Hook Rye Barrel 2, everyone was buzzing. LeNell Smothers operated a liquor store in Red Hook Brooklyn from 2003 – 2009. During this period, she selected 4 Bernheim-distilled barrels of Willett rye for her Red Hook Rye. Some describe this stuff as the “essence” of rye. 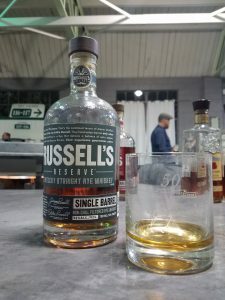 That might sound overly poetic, but I agree that providing tasting notes here are futile; it’s one of those ultra-special whiskies that just touches you in all the right places. Jim Rutledge explaining what was so special about his batch of OBSV. After these early pours, the presentations became a bit less formal as people alternated between trying new pours, bidding on silent auction items, and enjoying dinner from Silver Dollar. Chris Morris, Master Distiller at Woodford Reserve was in attendance and brought this year’s Brandy Cask Finish Master’s Collection for us to sample. It’s been a while since Woodford has produced a cask finish for their annual special release, and it was a welcome return in my book. 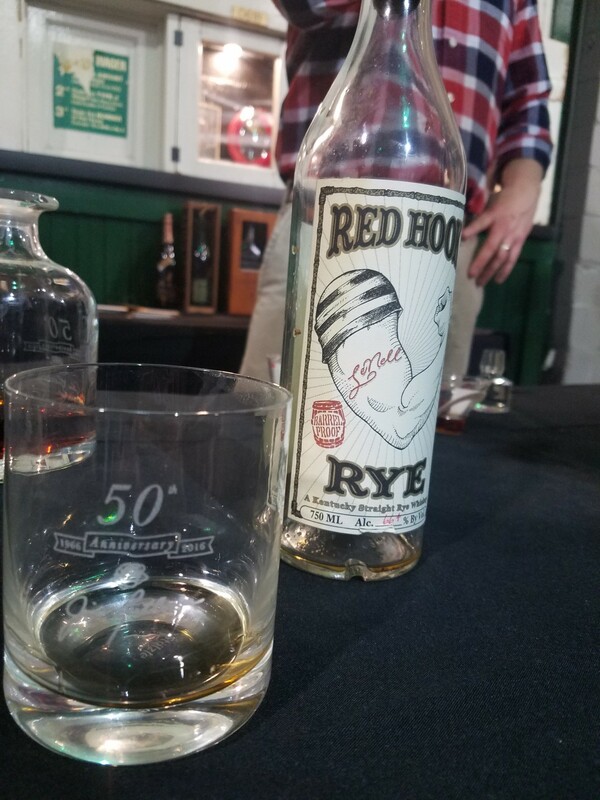 We also had the opportunity to enjoy Booker’s Rye and Booker’s 25, which have both been highly sought special releases this year. Adam Johnson from the Kentucky Distillers Association joined the celebration, as did several fellow Kentucky Bourbon Affair Attendees (to read Chicago Bourbon’s recap of the Bourbon Affair, click here). Other local bourbon stars were in attendance, such as author Fred Minnick and Matthew Landan, owner of Haymarket Whiskey Bar. 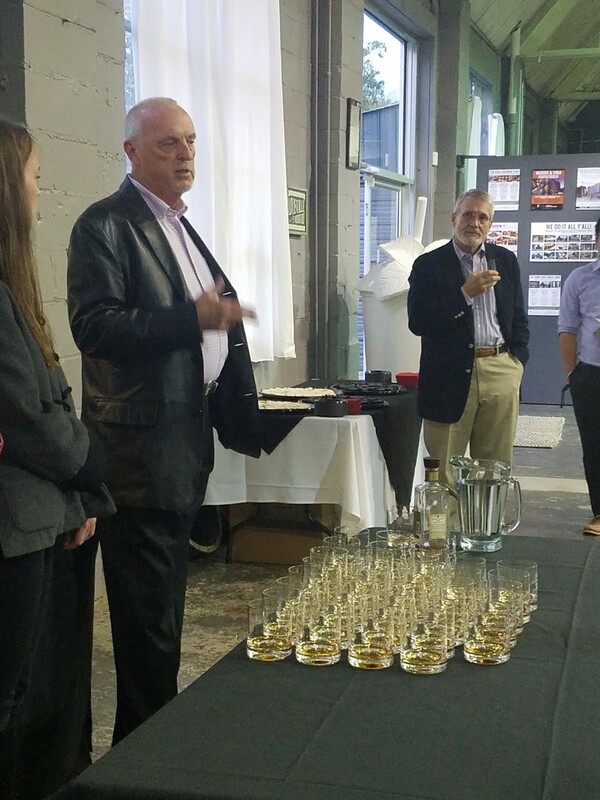 Larry Kass sharing a bottle of Elijah Craig 23 and brining Parker Beam’s warm wishes. 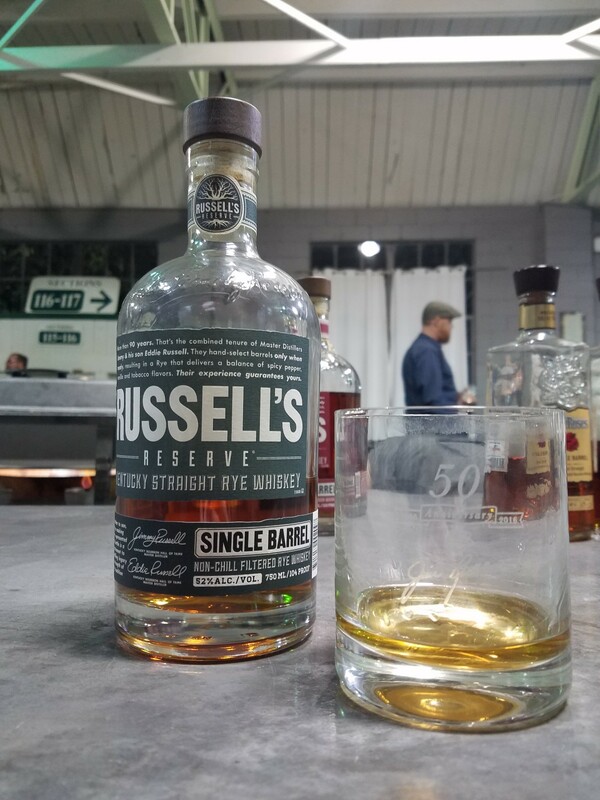 This special collaboration is just another example of the tight knit camaraderie in the bourbon industry; these brands act more like teammates than competitors. Larry Kass from Heaven Hill arrived not only to share a bottle of Elijah Craig 23 year, but also to share a touching video from Parker Beam. 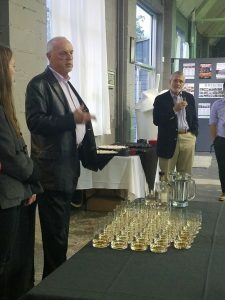 Parker, Master Distiller Emeritus at Heaven Hill, reflected upon the professional and personal friendship he had with Jim and only wished he could have attended in person. He was thankful for Jim’s support after his own ALS diagnosis and happy to both congratulate him and support Jim’s own charitable cause. 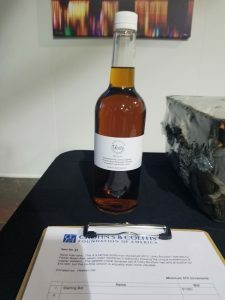 Heaven Hill donated a particularly special bottle to the silent auction: Masters Distillers’ Unity. This bourbon was a special mingling of mashbills donated from 7 different Kentucky brands: Heaven Hill, Four Roses, Makers Mark, Wild Turkey, Buffalo Trace, Woodford, and Jim Beam. It was initially auctioned in 2013 to support the Parker Beam Promise of Hope Fund, supporting ALS. It was quite a surprise to see a modestly dressed bottle of this one of a kind bourbon show up on the auction block! The winner of the auction was understandably quite pleased, although unsure exactly what would be done with this extremely rare bottle. Ultra-rare bottling of Master Distillers’ Unity Bourbon, originally crafted to support the Parker Beam Promise of Hope to support ALS. After dinner, Fred Minnick led a conversation with Jim as he reflected upon his lengthy career and discussed his future. 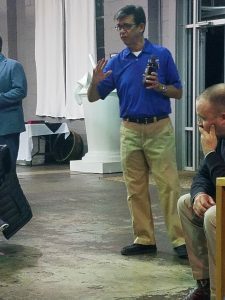 As he has done before, Jim dispelled the notion that his retirement from Four Roses was forced in any way. Jim’s love has always been the distilling process and enjoyed actually working in the distillery. In his mind, the title Master Distiller has evolved in some cases to indicate less of a master of one’s craft and more of a public figure. Jim became less enamored with his role as he spent less and less time operating the distillery. (This made me recall my conversation with Brent Elliott, current Four Roses Master Distiller, who remarked during the Kentucky Bourbon Affair that one of the most difficult aspects of his new role was creating a legible signature). 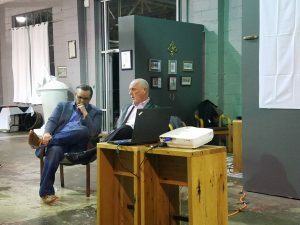 Jim is looking forward to his new venture, J. W. Rutledge Distillery, where he plans to be involved in the day to day operations of making whiskey. Although he initially considered crowdfunding the initial investment, he eventually decided instead to turn to a small number of investors who were more familiar with the industry. Needless to say, he is looking forward to getting back in a distillery! 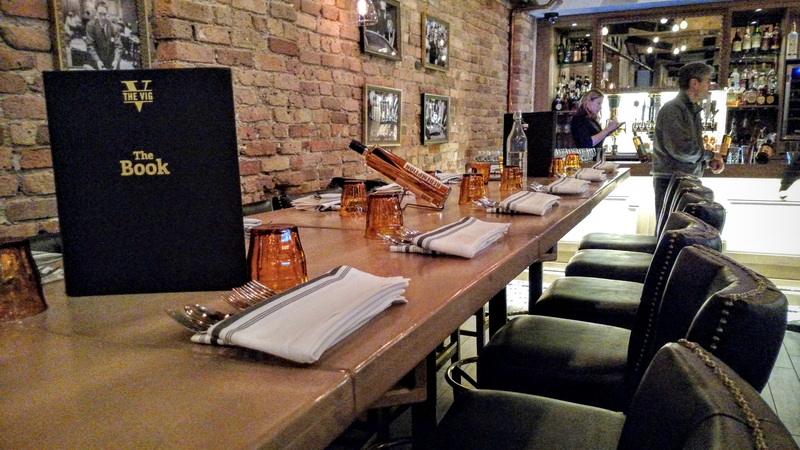 Next, the Crusaders awarded door prizes and the night wound down over plentiful pours. 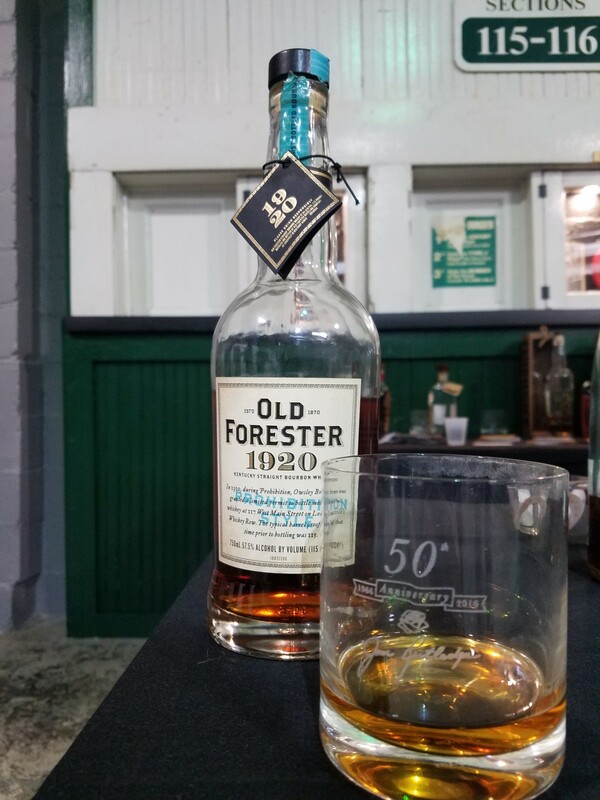 The only things better than relaxing after dinner with treats like a Willett 14 year, Single Barrel Select Russel’s Reserve Rye, and Old Forrester 1920 is doing so among great company. When I returned home several friends asked about the event. At first, I struggled to explain the warm, friendly atmosphere of the event. Finally, I remarked that Kentucky bourbon folk just don’t know a stranger. 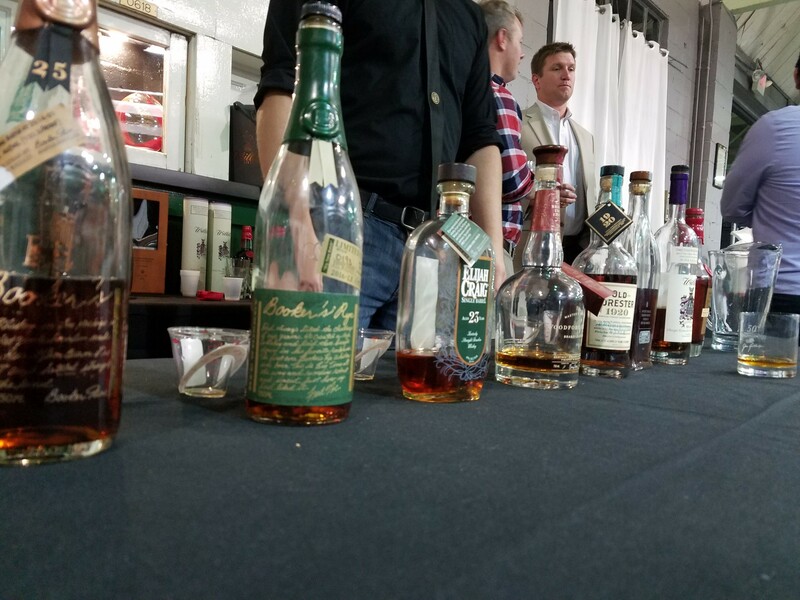 The Bourbon Crusaders made their event debut with a beautifully crafted celebration. I’ll definitely be keeping an eye on their event calendar and looking forward to their next occasion. Previous post Repeal Day And An Old Fashioned Face Off!